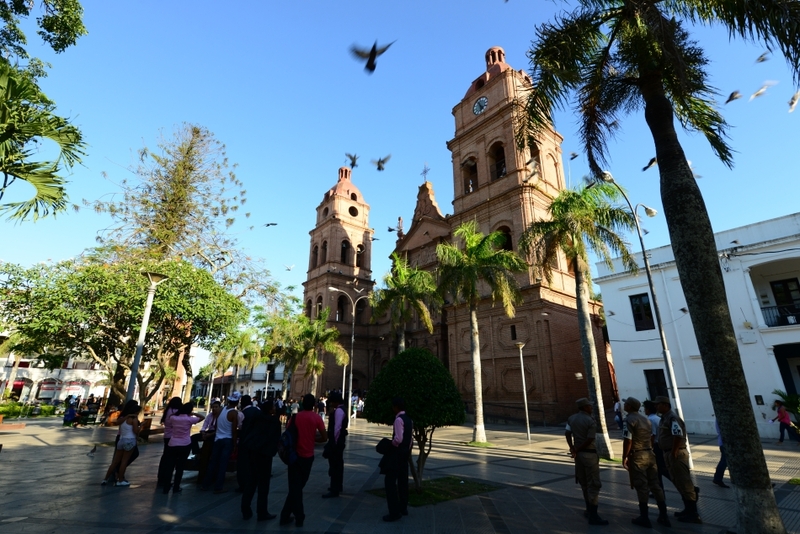 We arrived at Santa Cruz in the afternoon, and had a few hours to check out its downtown. 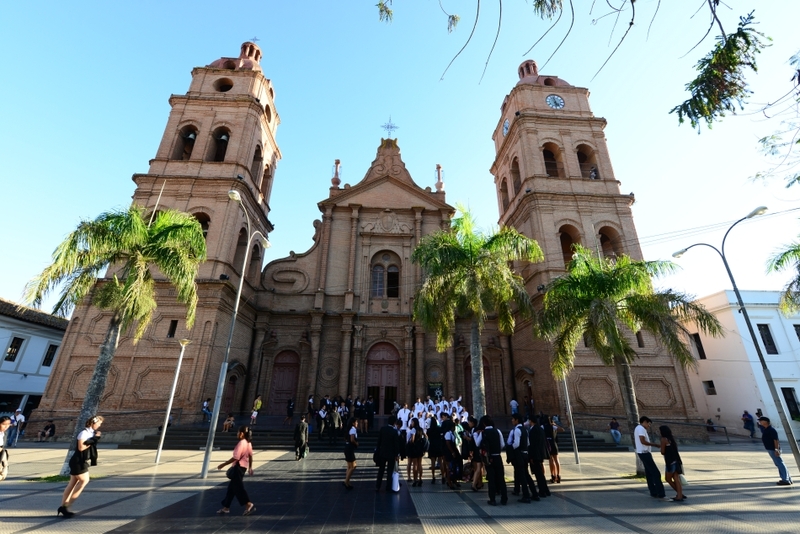 Tomorrow we would catch a morning flight to Sucre, the constitutional capital of Bolivia. 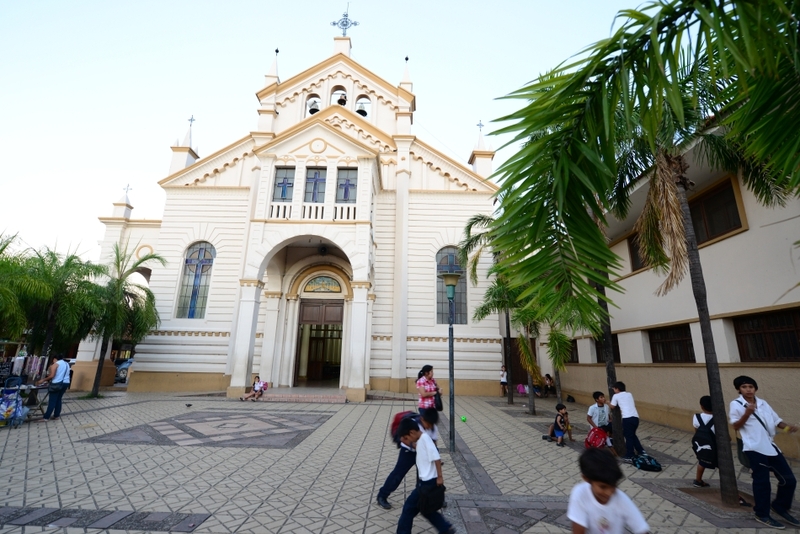 Unlike Samaipata, Santa Cruz was hot and humid in the afternoon. 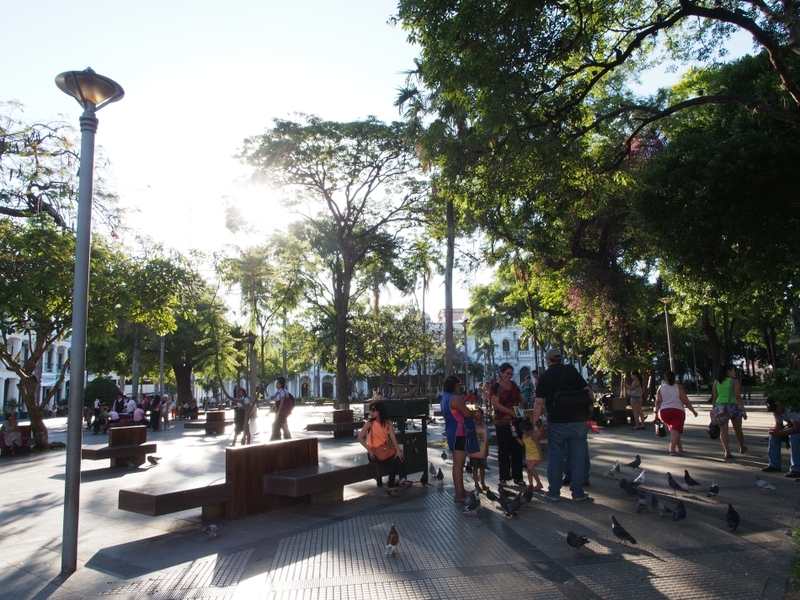 We ventured out to Plaza 24 de Septiembre, the main square in the Centro area, but didn’t stay long because of the heat; but many locals seemed having a good time. 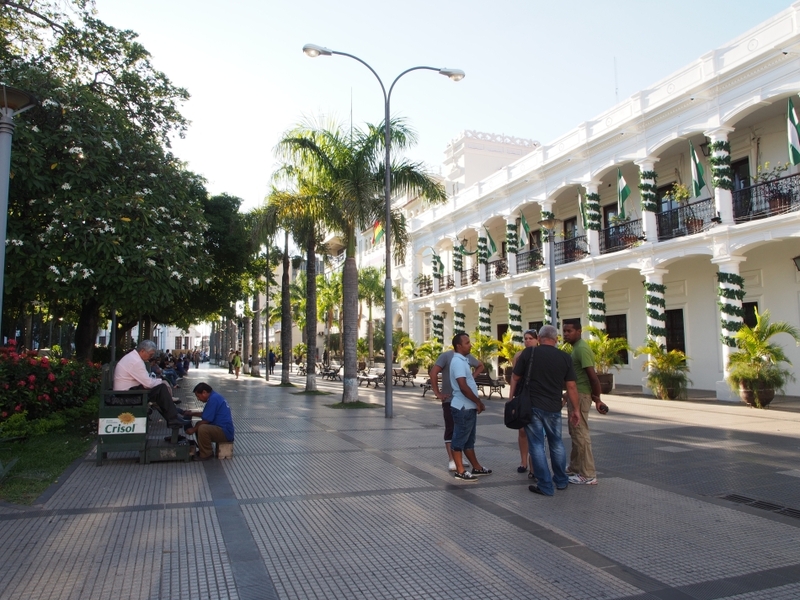 As Bolivia’s biggest and wealthiest city, Santa Cruz might not look like the Bolivia that many tourists picture in mind. 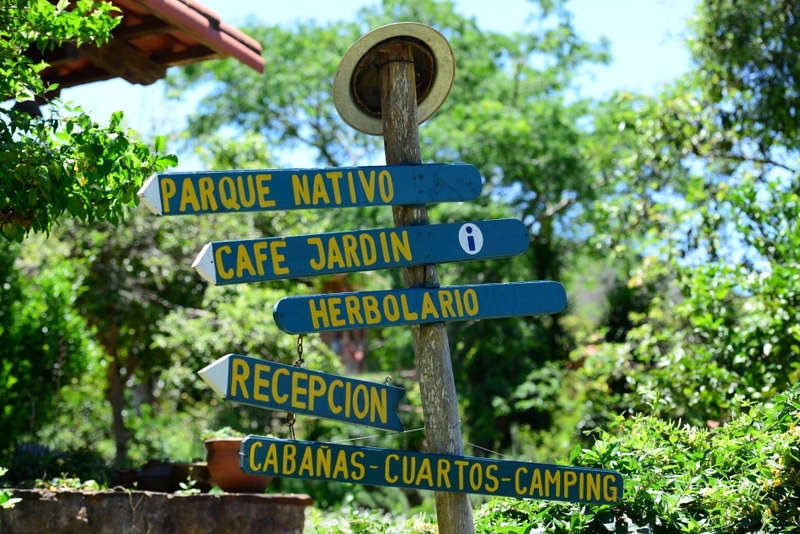 It’s time to say goodbye to Finca La Vispera and Samaipata. 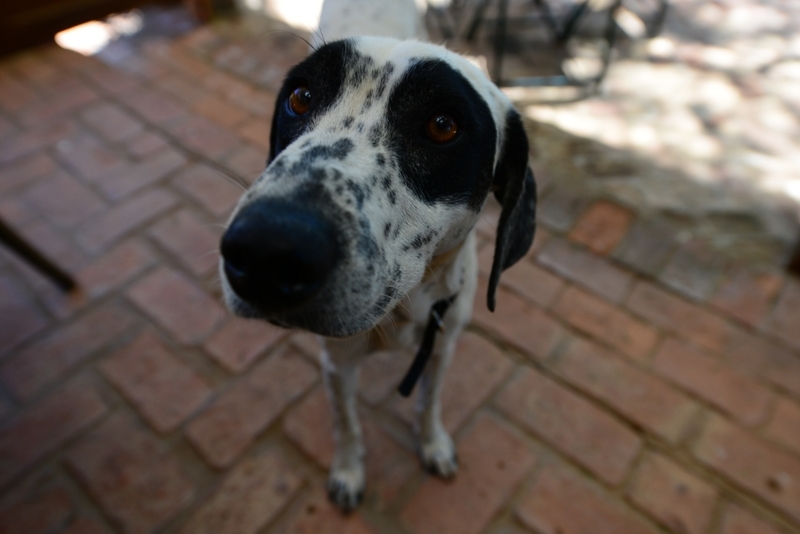 We will miss this dear friend. 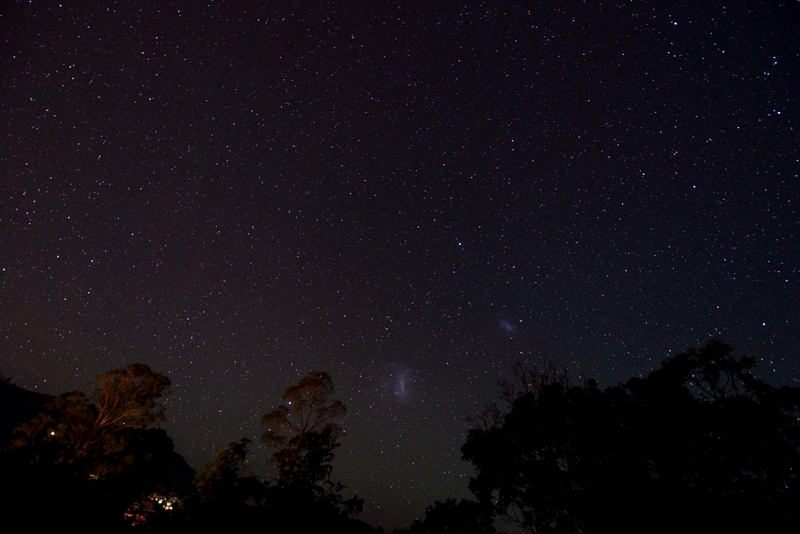 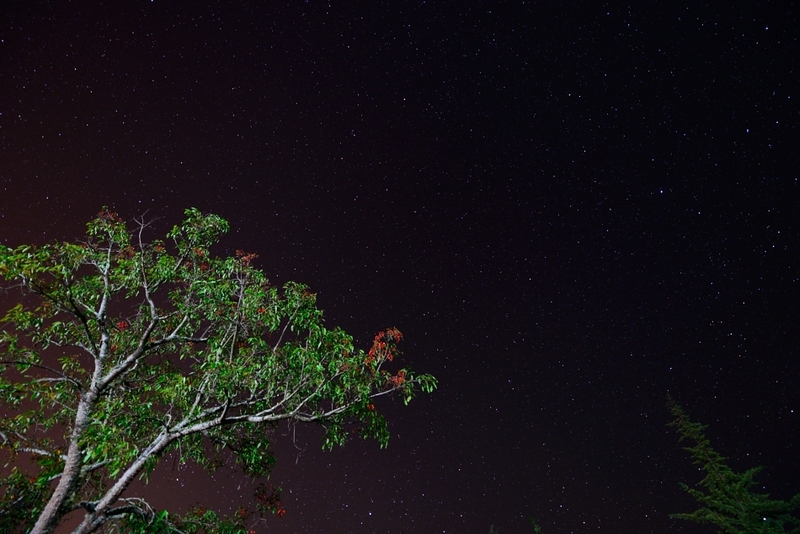 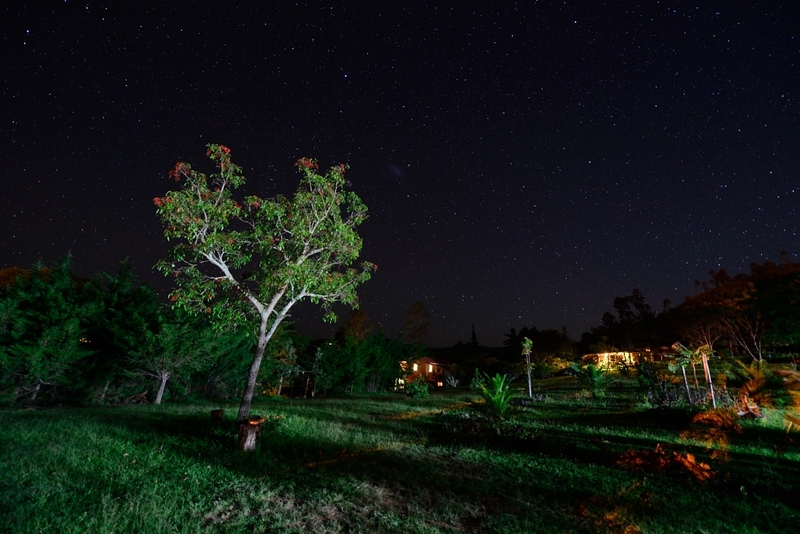 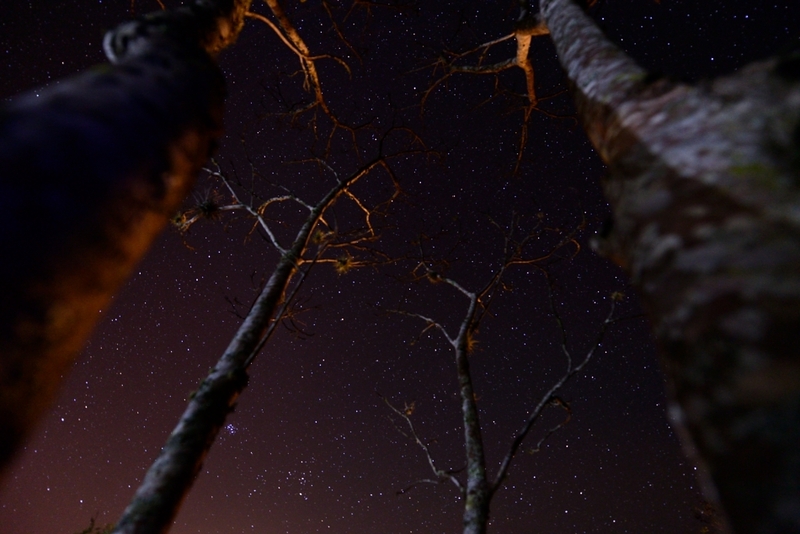 Accompanied by the sound of cicadas, the light of fireflies, and the faint shadows of agave plants, seeing the southern sky at a clear spring night in Samaipata was a real treat for us. 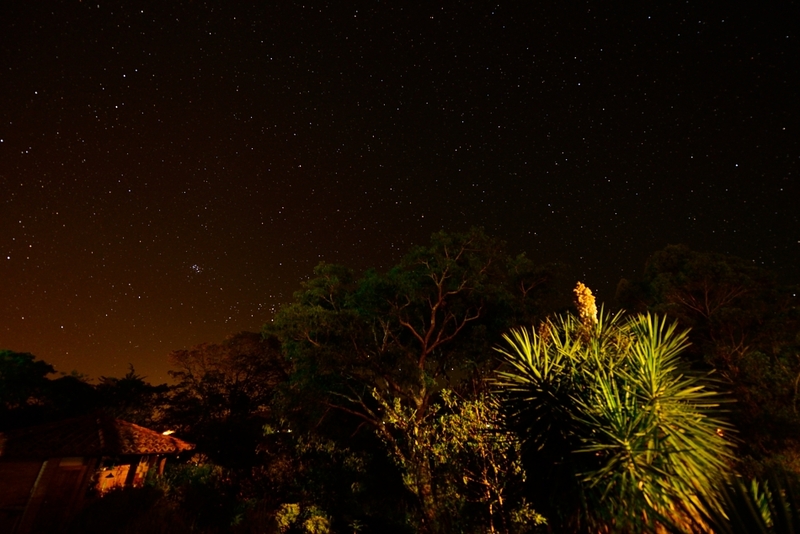 Other than El Fuerte, Amboro National Park is the other big draw for visitors coming to Samaipata. 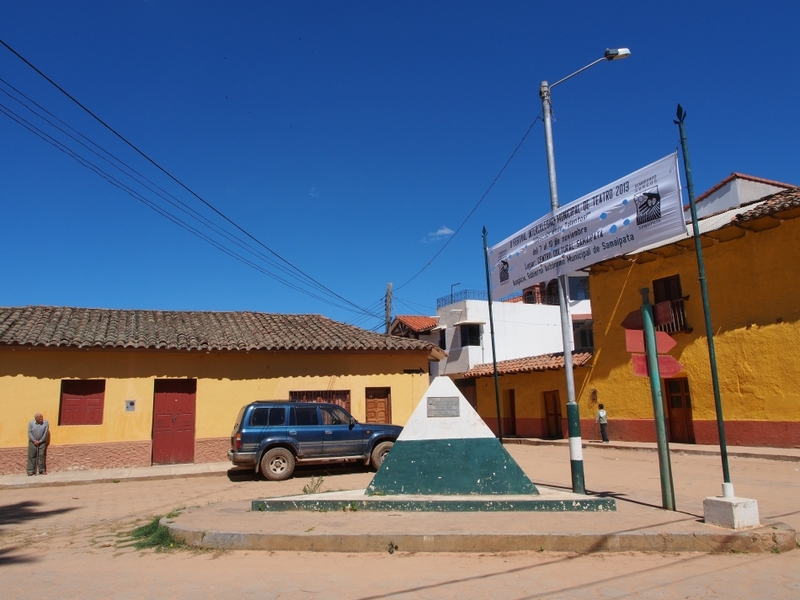 Located roughly 40 minutes of drive from Samaipata, Amboro is relatively easy to access comparing to other national parks in Bolivia. 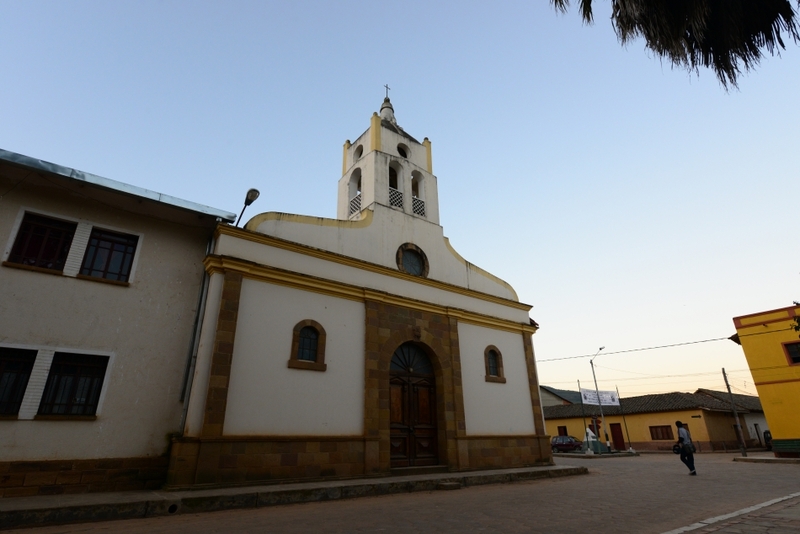 Amboro is famous for its diverse landscapes and terrains, offering a large variety of vegetation from Amazonian rainforest, Chaco plains of cactus and palms, to cloud forest of ferns and trees. 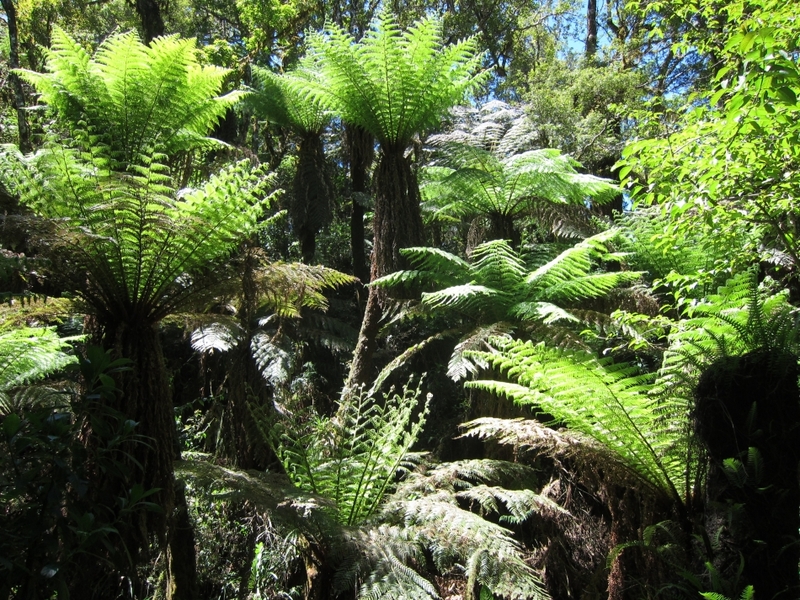 We chose the cloud forest as our destination to check out its prehistoric vegetation. 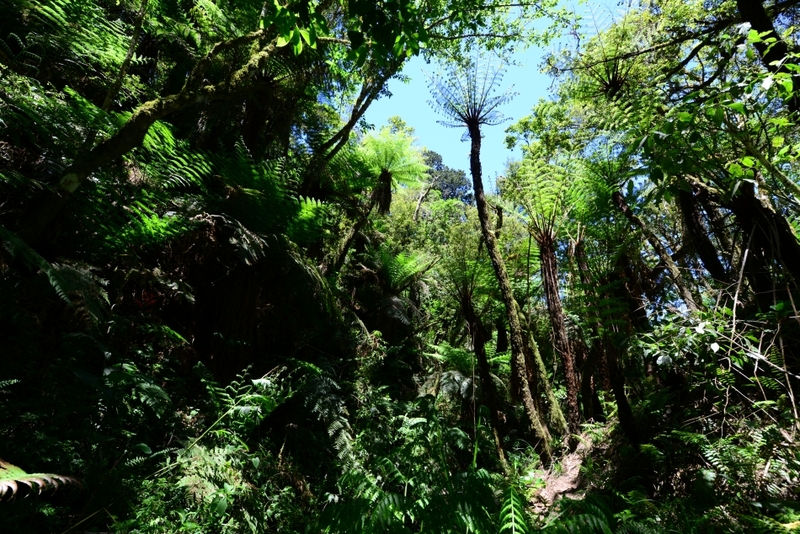 Situated from 1800m to 3500m above sea level, the cloud forests of Amboro serves as a major water source supporting cities and towns at the lowlands, including Santa Cruz. 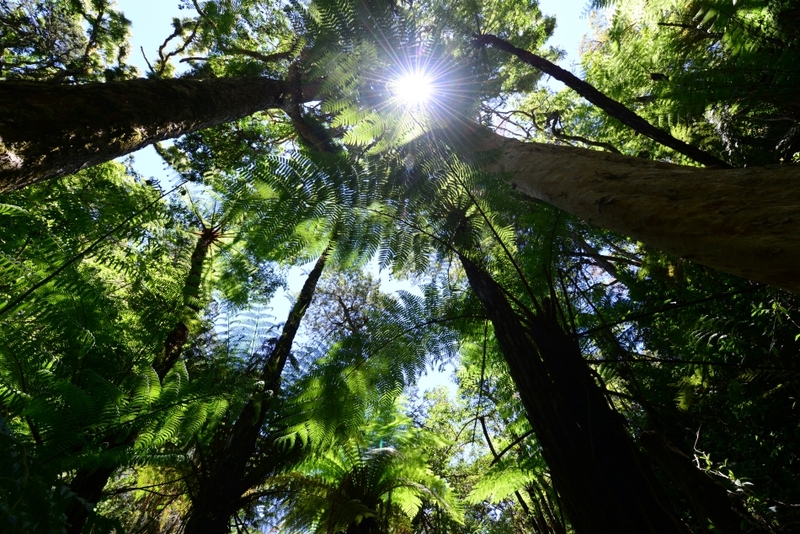 The cloud forest acts like a sponge, capturing the moisture in the air and gradually releasing the water to streams and rivers. 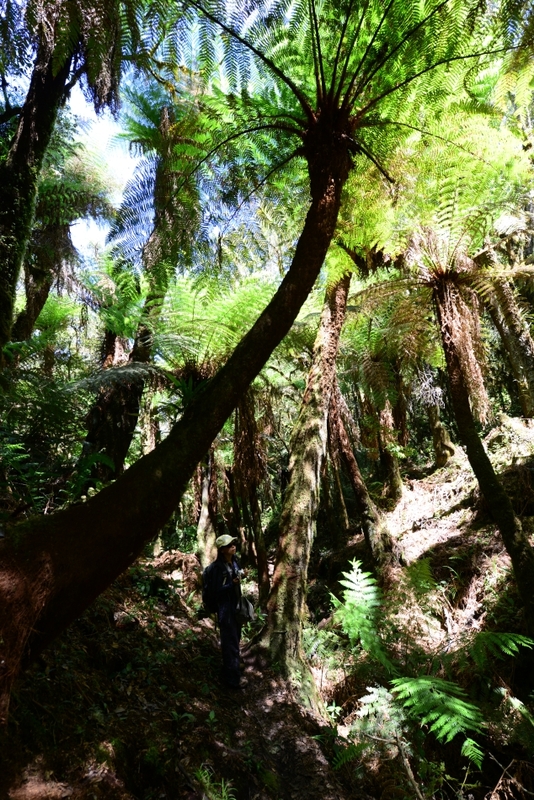 For us, the biggest highlight of Amboro’s cloud forest is the giant ferns. 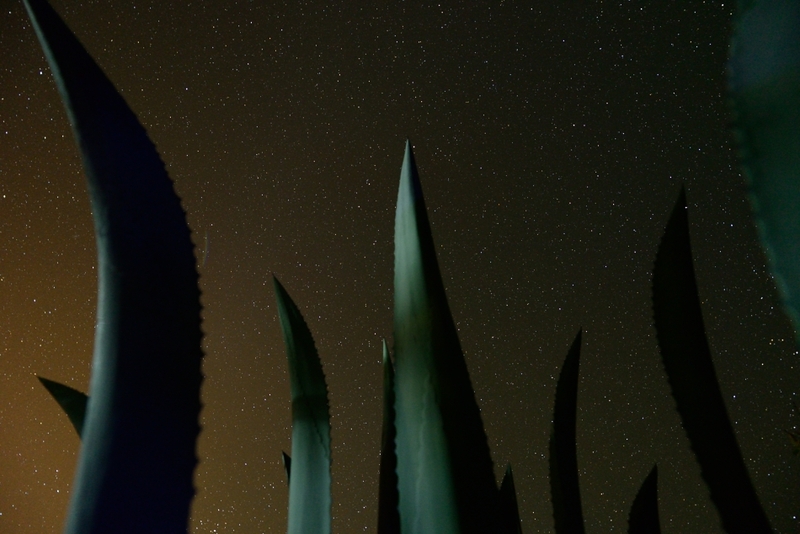 They are the rare survivors from the prehistoric eras. 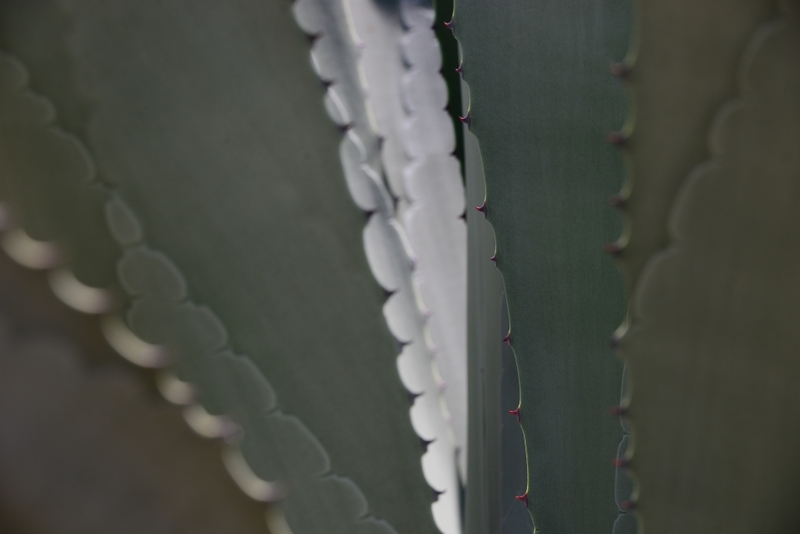 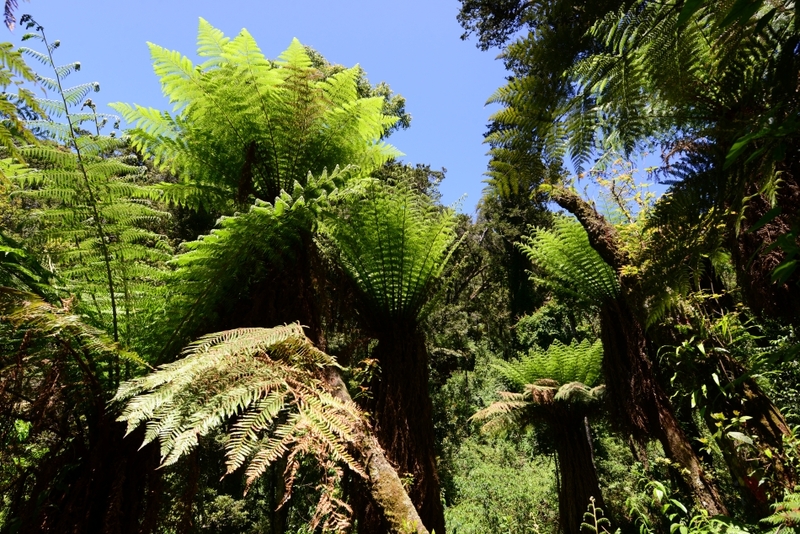 According to our guide, one species of the ferns even predates the dinosaurs, while the other major species originates from the Jurassic Period. 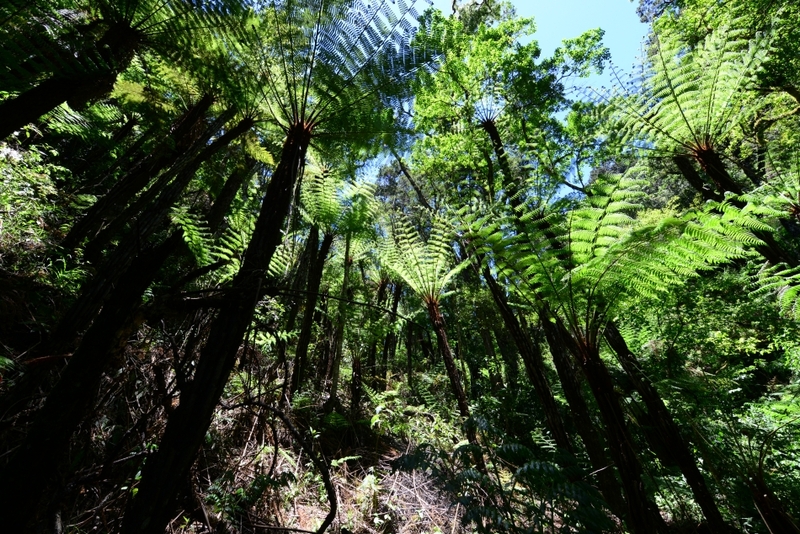 Since ferns reproduce by spores instead of flowers and seeds, there are little resources in the fern forest to support a large population of animals. 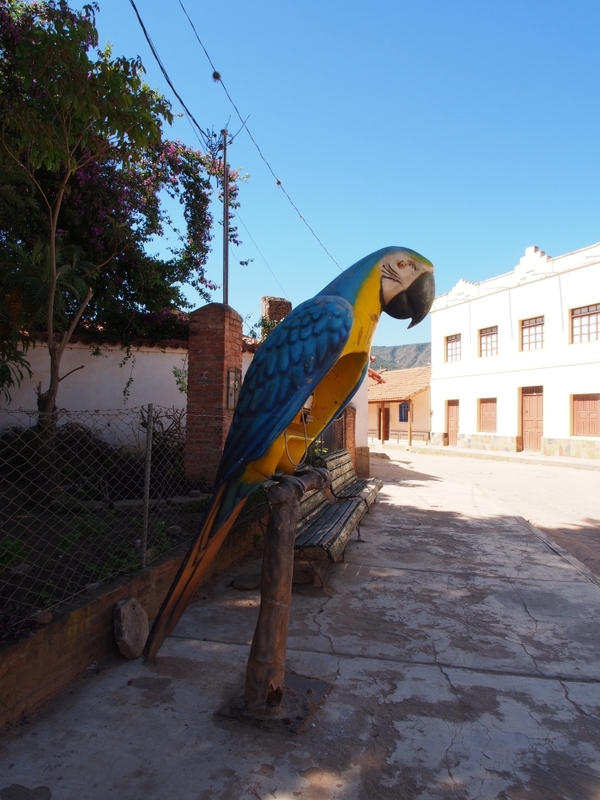 We did see a few interesting birds during the trek. 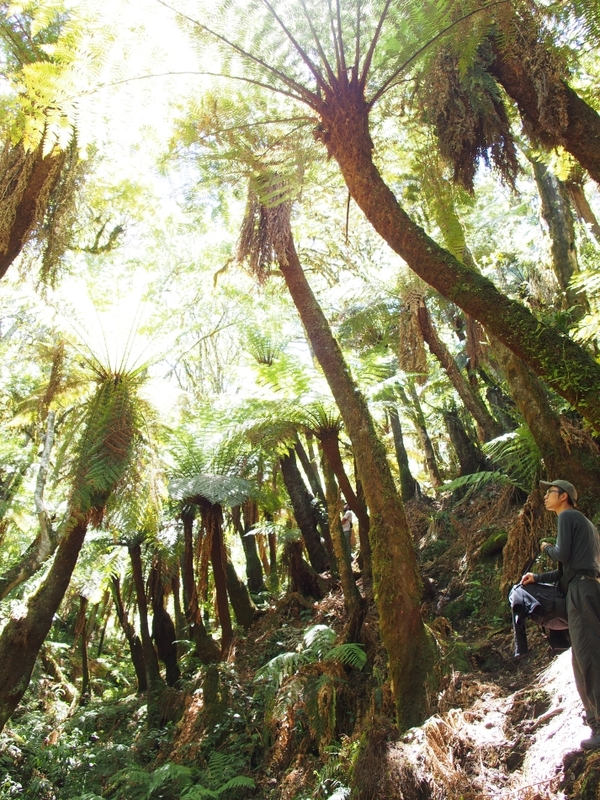 With steep and muddy ascends and descends, the trek turned out to be tougher than what we imagined, but we were glad that we made it to see the giant ferns, some reaching more than 10m tall. 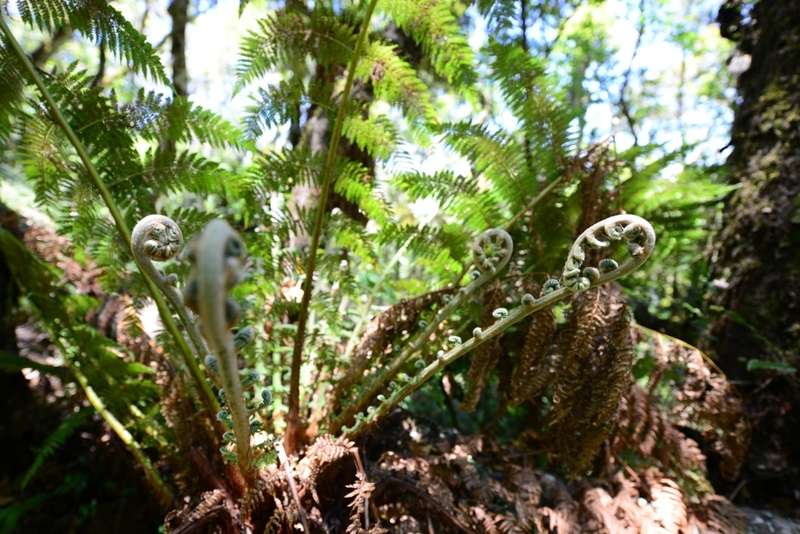 Given that some grow only 1 to 2cm per year, some of the ferns we saw are hundreds and even over a thousand years of age. 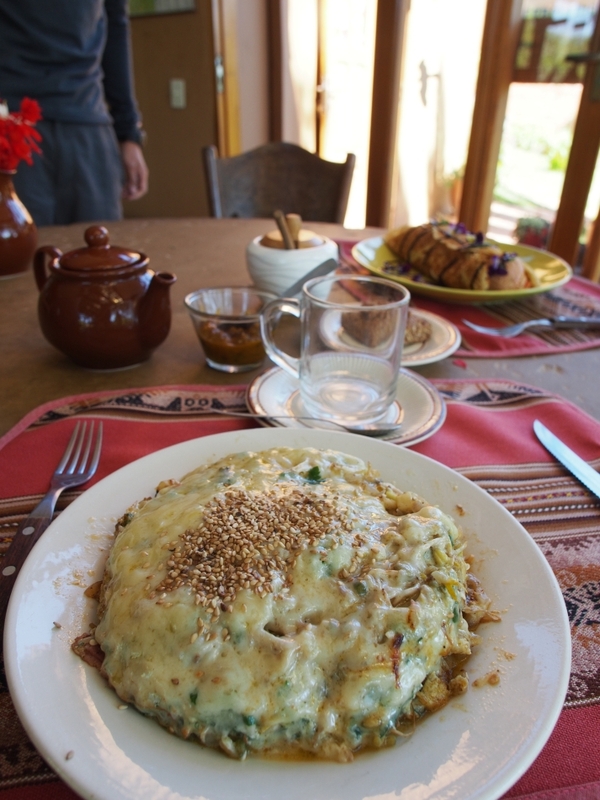 Every morning of our stay, we would head for Vispera’s Garden Café for breakfast. 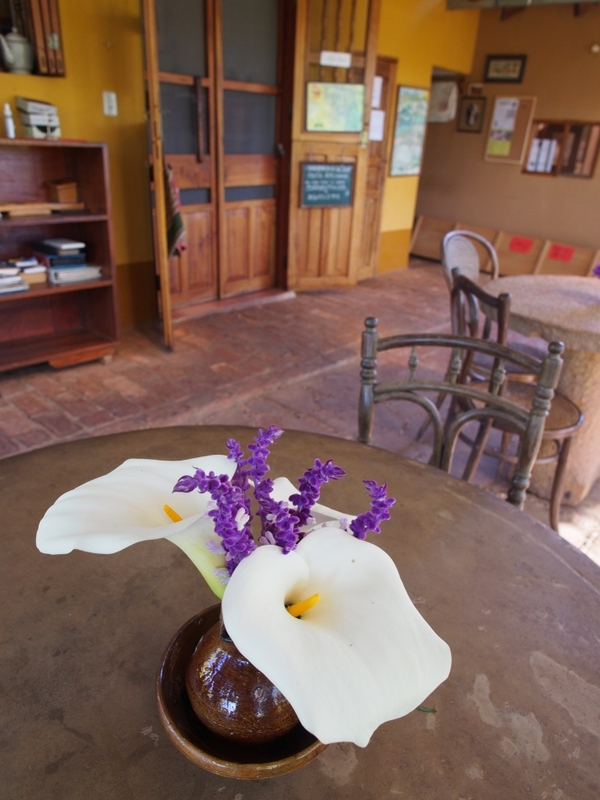 Labeled as serving “slow food”, the staff would pick the herbs and vegetables from the farm terraces adjacent to the café after they took our order. 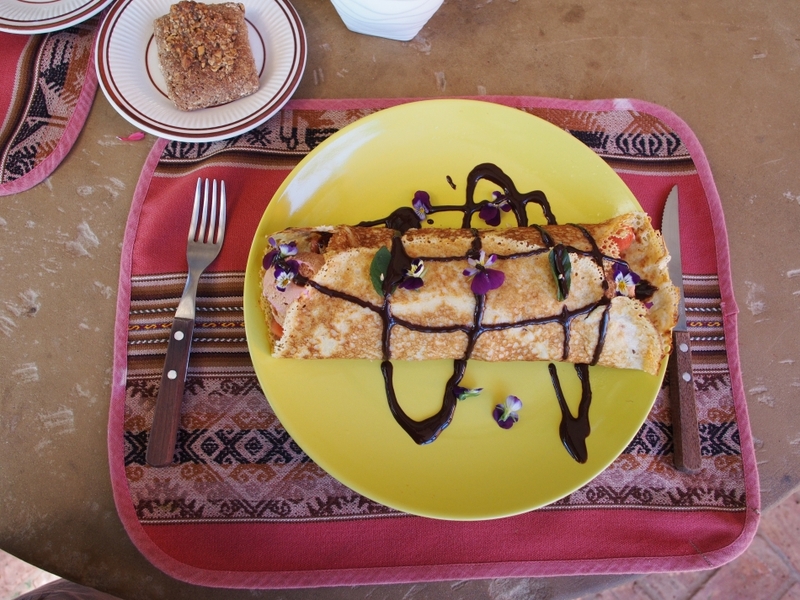 We particularly liked the floral tea, aloe juice, and fruit crepes. 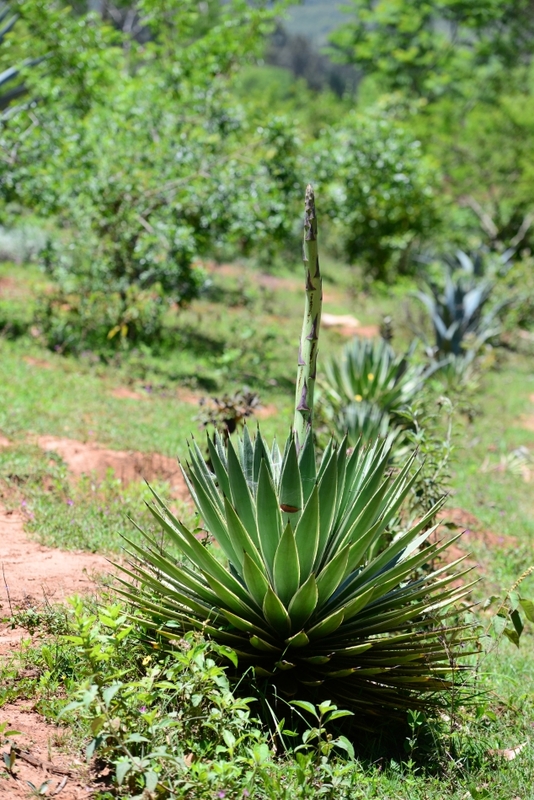 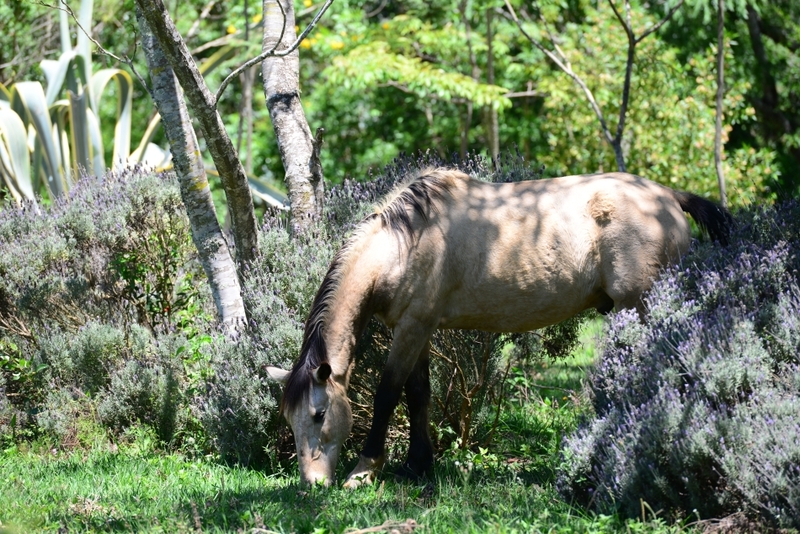 For the weather, lush green vegetation and colourful flower blossoms, many outsiders see Samaipata as a paradise. 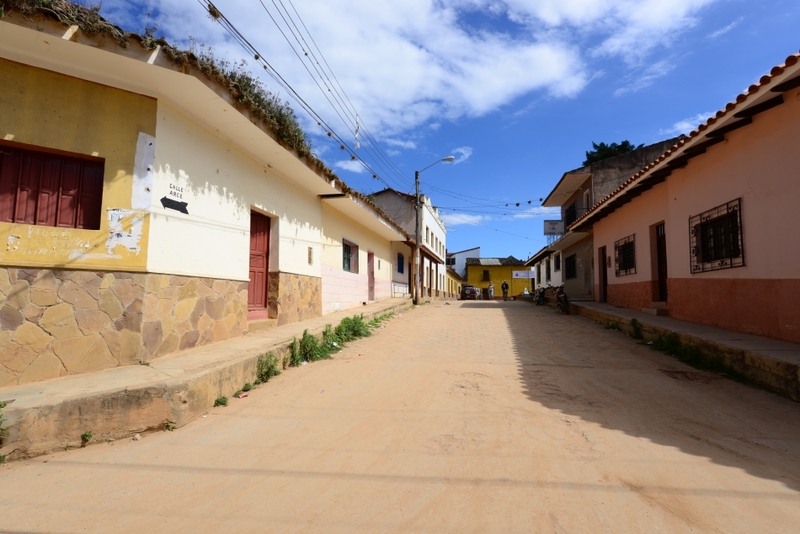 Some foreigners even decided to stay and settle here. 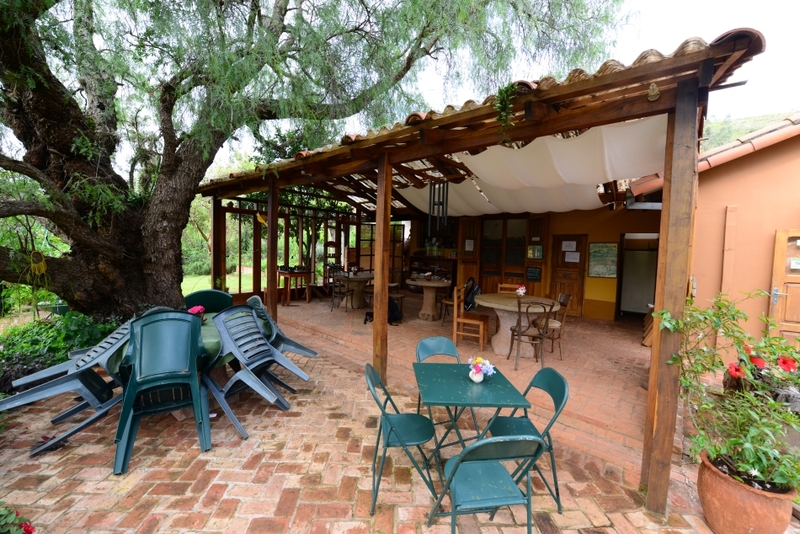 As a result, quite a number of guesthouses, cafes and villas are foreign-owned, including Finca La Vispera, the organic farm where we stay. 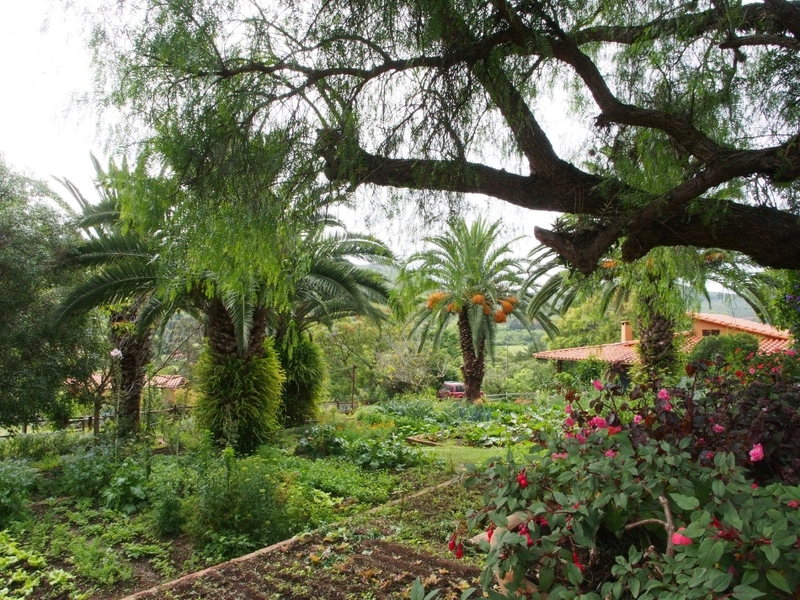 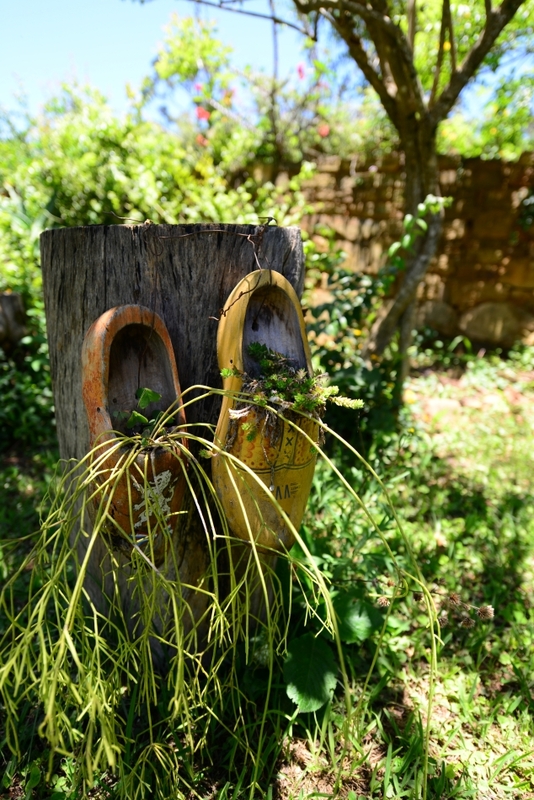 At Vispera, there are farm terraces, native gardens, guesthouses, communal kitchens, and a garden café. 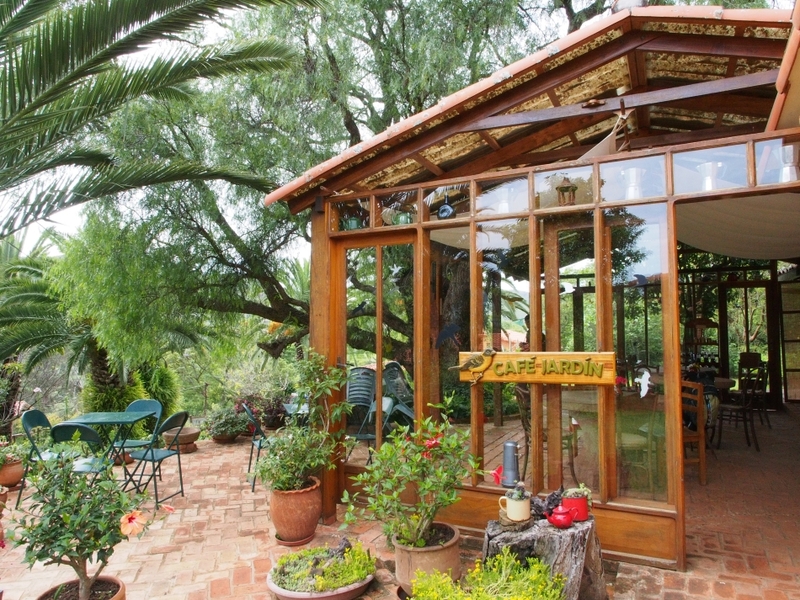 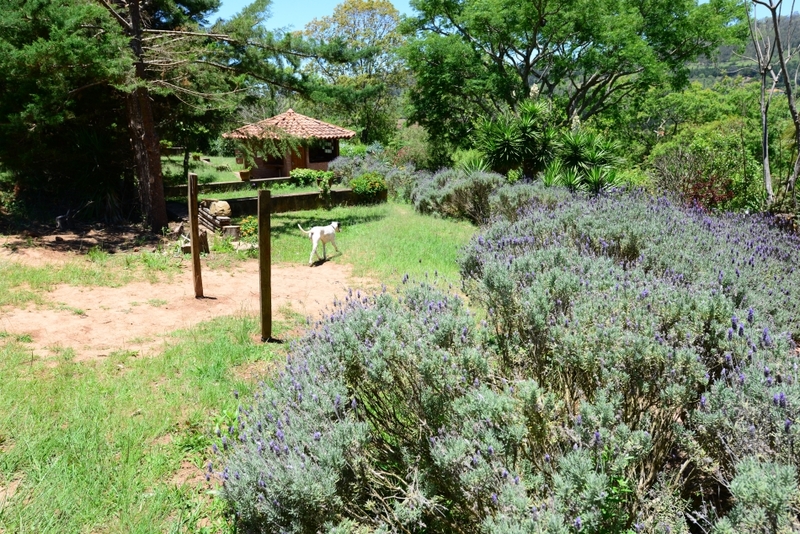 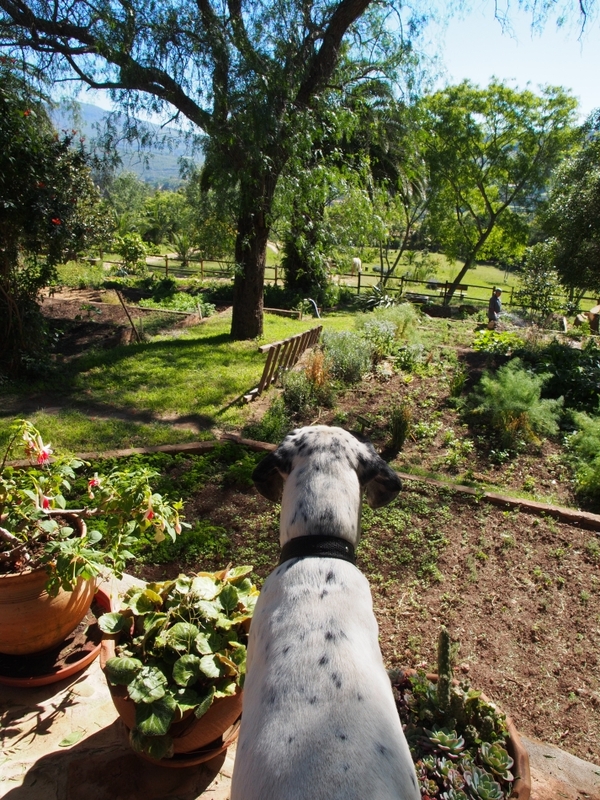 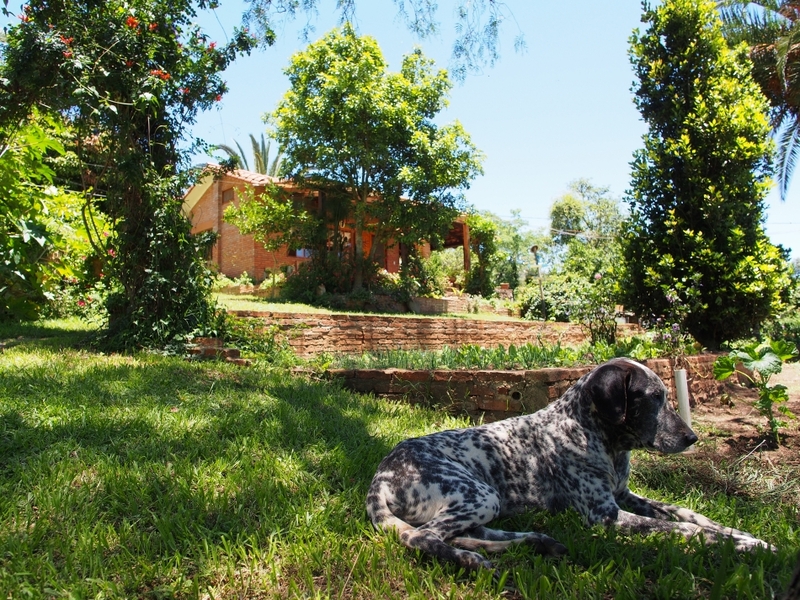 Everyone – the owners, local staff, two horses, three dogs, and a cat – share this little piece of paradise in harmony. 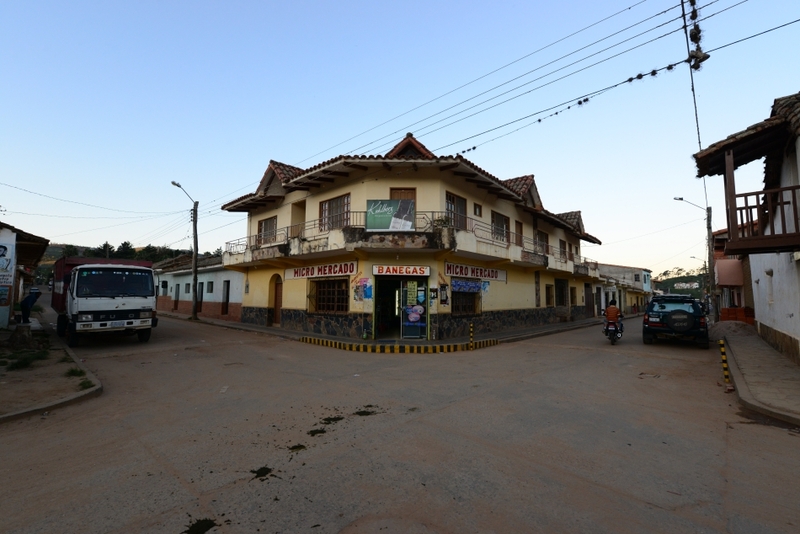 Singing birds, blooming flowers, mountain breeze, and the layback atmosphere are the main reasons why the town of Samaipata, 2.5-hour drive from the dusty city of Santa Cruz, has become a popular destination for foreign and local visitors. 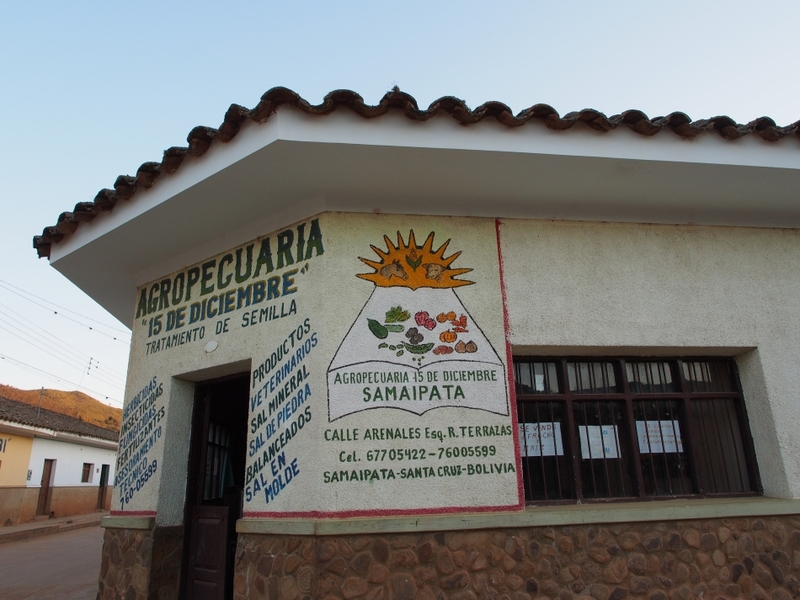 We picked Samaipata as a pleasant introduction to this mountainous country before heading to the highlands. 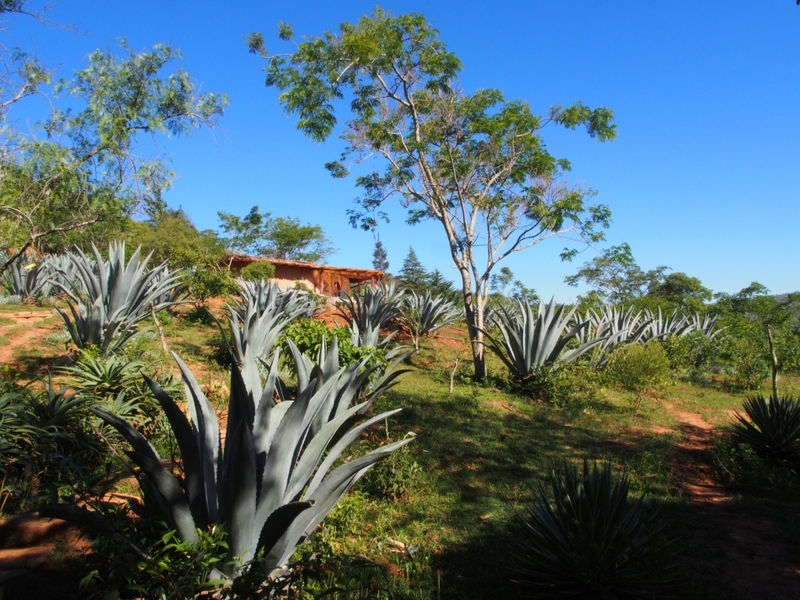 Situated at roughly 1600m above sea level, Samaipata lies at a transitional zone among various landscapes, including the Amazonian lowlands, Chaco plains and Andean highlands. 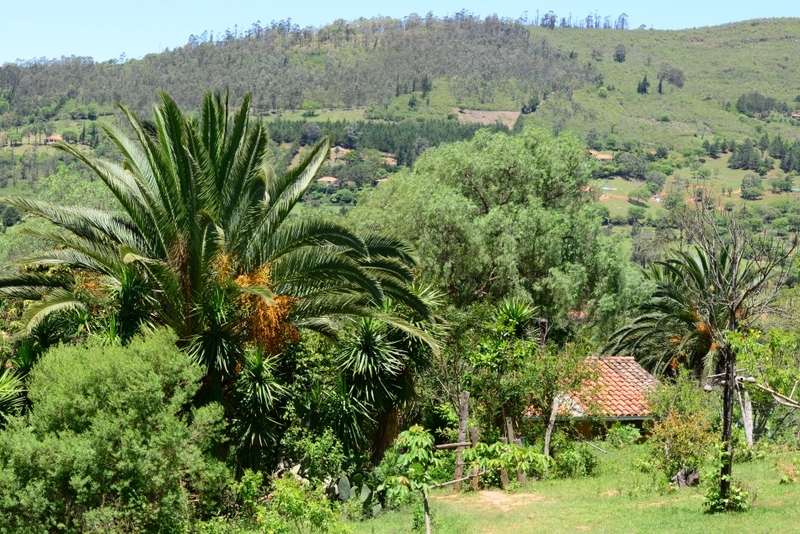 Without the heat and humidity of the lowlands, Samaipata is a lovely place to chill out under the tropical sun. 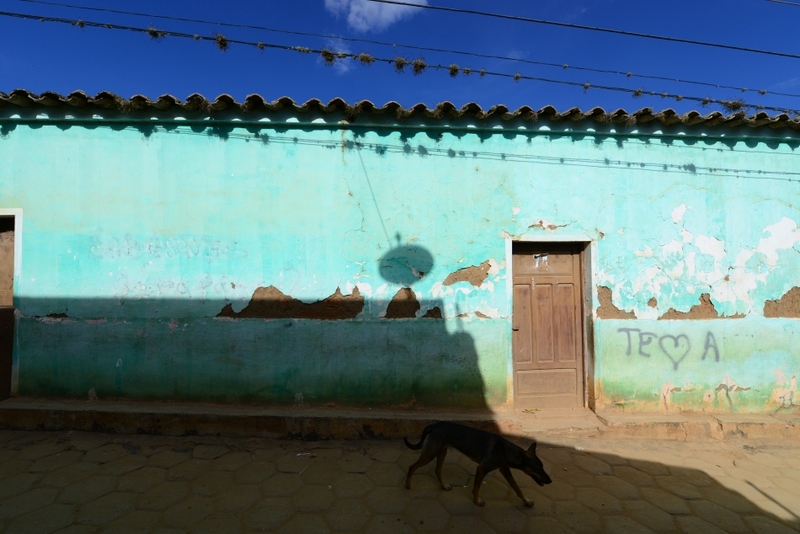 The town is particularly charming in late afternoon when the sun casts a golden glow onto the painted walls and red mud roads. 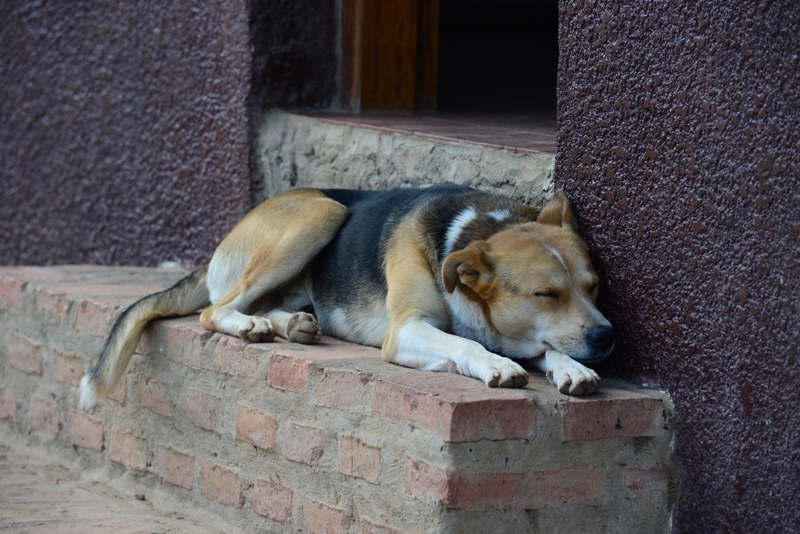 Under the peaceful ambience, even the sleepy dogs under shaded doorways seem contented and relaxed.